Let Shivratri Help In Freeing From Harmful Kaal Sarp Dosh! Shivratri, the festival celebrated with a great zest and grandeur by the devotees of Lord Shiva. The day falls in every lunar month on its 13th night or 14th day. On the other hand, Maha Shivratri, the favorite day of Shiva comes once a year during the late winter months of February or March. Shivratri is a powerful festival as it helps in an innumerable way. Execution of rituals with complete devotion leads to peace, prosperity, health, wealth, success and other such spiritual virtues. Normally, people can be seen performing activities like yoga, meditation, chanting mantras and fasting on Shivratri. Devotees suffering from evil eye, pitra dosh, black magic and Kaal Sarp Dosh also benefits from it. 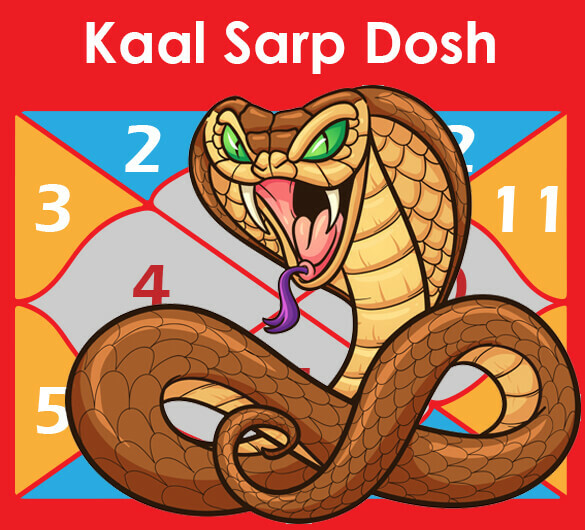 Kaal Sarp Dosh is considered one of the most dangerous dosh in an individual’s Kundli or horoscope. 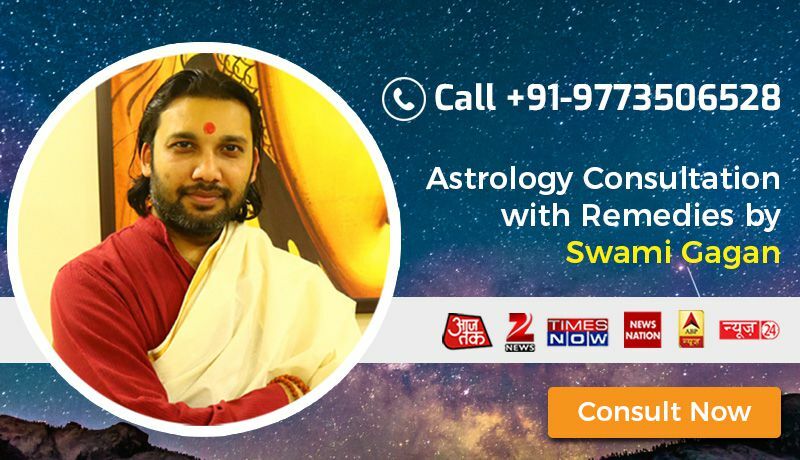 It occurs when all the planets come in between Rahu and Ketu. These two planets reduce the positivity and strength of the remaining planets. It is believed that people who had killed or hurt snakes in their previous birth suffer from Kaal Sarp Dosh in their present birth. Also, if a single planet comes out from in between Rahu and Ketu, it will not signify Kaal Sarp Dosh. Kaal Sarp Dosh produces worse effects like tension, untimely death, problems related to marriage, career, family, business, health and evil eye, lacks mental and emotional peace, disturbance in sexual life and so on. But these negative effects vary from individual-to-individual depending upon the positioning of the planets in between Rahu and Ketu. Anant, Kulika, Vasuki, Shankphal, Mahapadma, Padam, Karkotak, Takshak, Shankhnaad, Ghatak, Vishdhar and Sheshnaag. 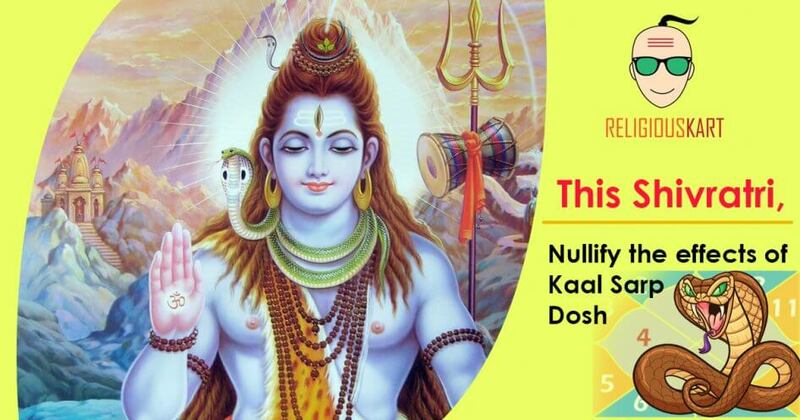 Kaal Sarp Dosh can be removed through various remedies like Kaal Sarp Dosh shanti pooja, daan, Kaal Sarp protection kawach, Shivratri pooja, Lal Kitab etc. Among numerous methods, performing pooja during Shivratri proves to be the most beneficial solution. The individual suffering from Kaal Sarp Dosh should keep a fast and light up a akhand diya followed by Rudrabhishek of Shiva’s Lingam. Also, chanting of ‘Om Namah Shivaya’ and Gayatri Mantra either results in eradication of the dosh or its conversion into partial Kaal Sarp Dosh. Thus, leading to a peaceful and successful life.